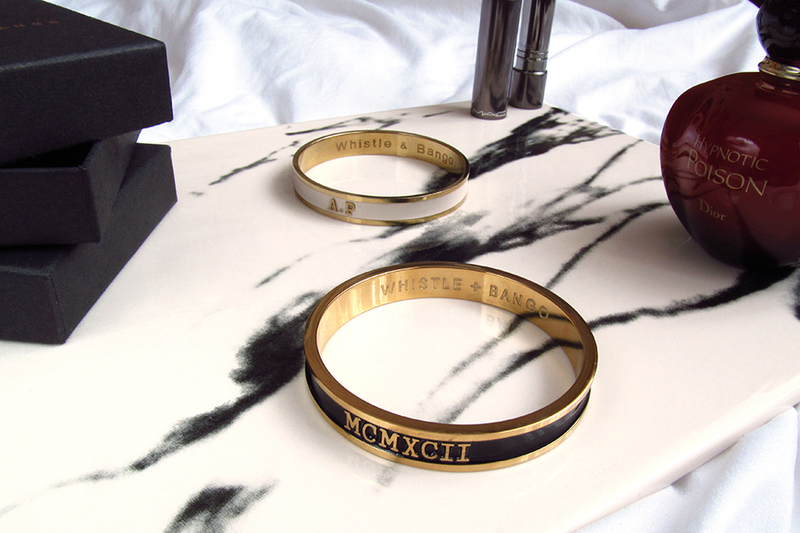 What can be better than a customized Whistle + Bango bangle? Right. Two Whistle + Bango bangles. Both customized, of course. To cut a long story short, those of you who keep an eye on my Instagram page already know that earlier this month my collection of #madeinLondon bangles expanded to two pieces. 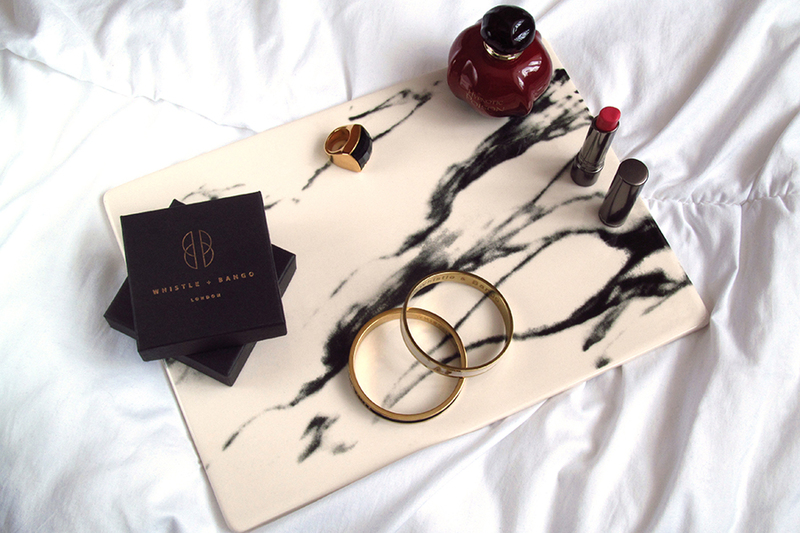 Therefore, my beige-and-gold beauty with A. P. embossing (catch up on that very first W+B story from back in February right HERE) now has a partner in crime in the face of black-and-gold piece with a message that might seem a bit too quirky at first sight - MCMXCII. Now what does this set of letters (or symbols) mean? And what does this all mean to me directly? Okay. Let's first start with this... when I was thinking of how my second Whistle + Bango bangle should look like I almost straightaway came to an idea it should come as a contrast to the A.P piece, but still possess a personal moment. And what can come as a perfect yet highly simple and day-to-day appropriate color contrast? Sure, white (in this case more beige shade) and black. Speaking of the embossed message I chose for my black-and-gold version, well, have to be honest here it was a more tough decision. I mean going for own initials the first time was like a matter of few minutes. At least, it seems to be so now. So what does MCMXCII mean? It's super simple. It's year of birth (1992) written in Roman numerals. Cool, huh? I do like this ancient system of numerals. There is some special magic in it, don't you think? And I believe Ania and Rosie, the founders, did a great job when they decided to include Roman numerals among main Whistle + Bango's ideas, along with initials, alphabet and London post codes. Well, if there is such thing as 'Christmas comes early', then it's definitely all about this second Whistle + Bango bangle of mine. I know actual Christmas is still a month away from today, but this piece does come as a perfect festive present, and it definitely is among those best ones I'll receive this year. 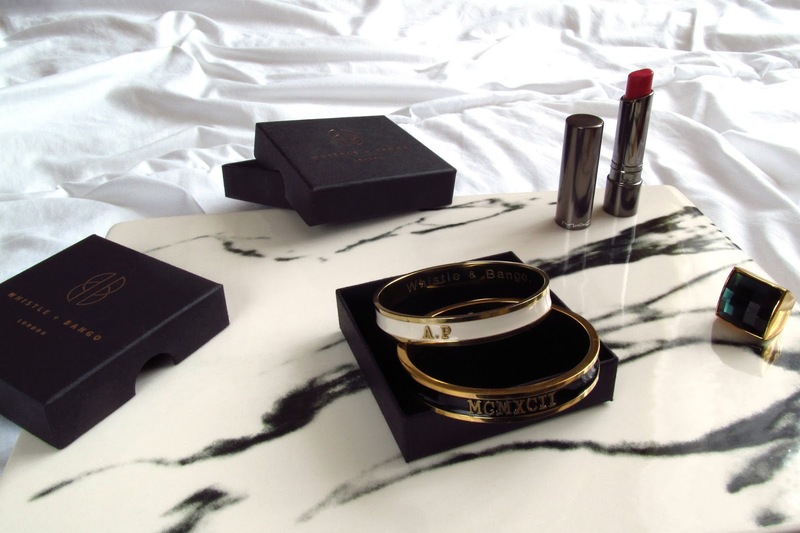 It's just somehow interesting that for me this year, the 2016, literally started off with Whistle + Bango and now we are getting closer and closer towards the end of the year and it's again all about this London-based jewellery brand... As we happened to step into festive-much topic area, don't you think such a bangle can come as a great Christmas, or New Year, gift? And just for you to know, apart from bangle (and cuff) range Whistle + Bango also has a collection of earrings and necklaces to choose from. Yes, an empire is expanding. 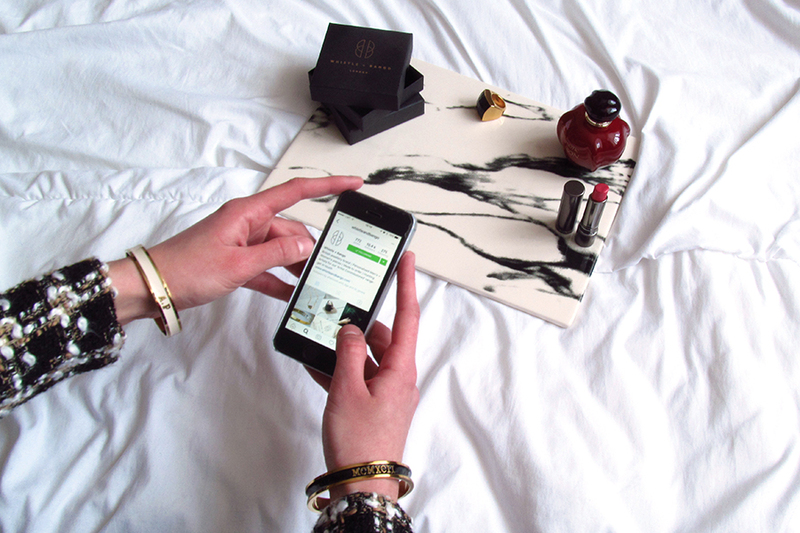 Last for today, but not least at all, you can get 10% off for your first order with W+B when you use PQAP10 promo code. Wishing you all happy festive shopping and don't forget to #GetCreative!